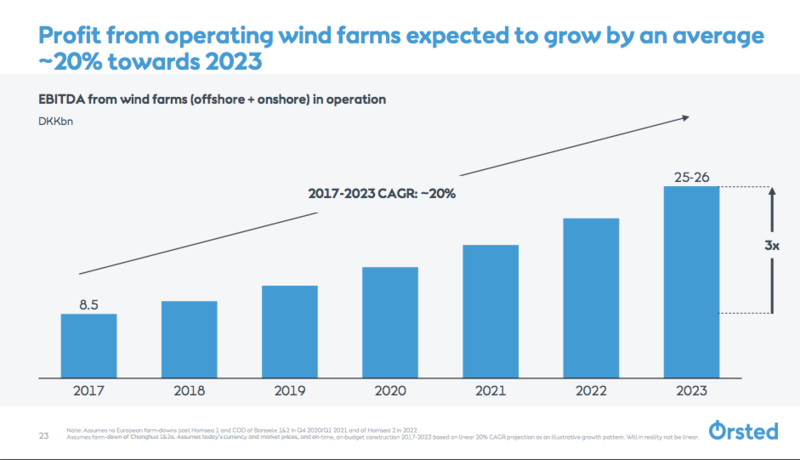 At the company’s Capital Markets Day, CEO Henrik Poulsen said the firm would aim to create a 15GW offshore wind portfolio by 2025, up from 5.6GW today, and a significant step up from the 12GW envisioned only a year ago. Of the DKK 200 million planned investment, 75-80% will be in offshore wind, with a further 15-20% to be spent on onshore wind projects, the company said. Return on capital employed across all investments is expected to be roughly 10%, the company said. "Towards 2030, it’s our strategic ambition to reach an installed capacity of more than 30GW [of renewable energy capacity]," Poulsen said. By 2025, Ørsted plans to have clean energy generation comprise 99% of its total output, equating to near zero emissions. 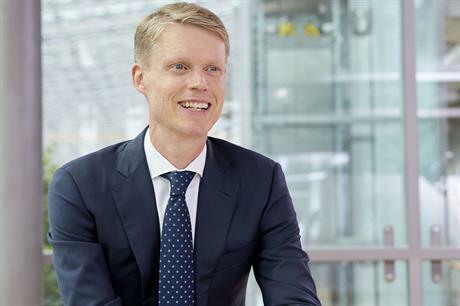 The firm added it expects a 20% annual increase in its operating profit from wind projects, reaching DKK 25-26 billion in 2023. For its near-term offshore pipeline of roughly 3GW, Ørsted said it planned to invest approximately DKK 13.5 million/MW (€1.8 million/MW). It is also set to invest in the over-1.5GW Greater Changua zone in Taiwan and the 600MW Revolutuion Wind site in the US, one it acquired as part of the deal in October to buy the American offshore wind pioneer Deepwater Wind. 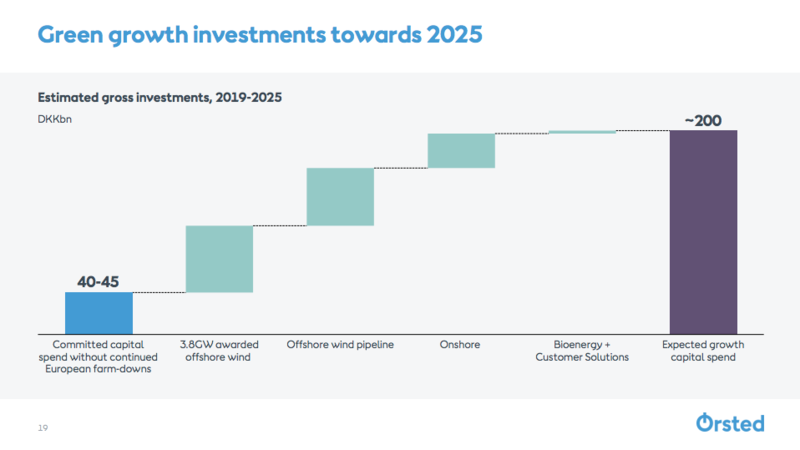 Ørsted has also identified Poland, India, Japan and South Korea as "next horizon markets" in offshore wind, while claiming to be monitoring the "early-stage development" of floating wind technology. Poulsen added the company would be adding focus on other technologies, and announced an extra effort to tap the North American market. "Our second growth platform is our ‘Onshore’ business, consisting of onshore wind, solar energy, and energy storage. "It’s our ambition to create a leading North American company within renewable energy," Poulsen said. Ørsted marked its re-entry to the onshore wind sector earlier this year with the acquisition of US developer Lincoln Clean Energy, after a near-four year hiatus of land-based activity. The developer spent over $1bn (€884 million) this year acquiring Lincoln and Deepwater Wind. Combined, the three firms have an onshore and offshore wind portfolio of projects in various stages of development standing at over 11GW in the US alone. Part of the rationale in the Lincoln purchase was the expertise in corporate power purchase agreements it has established, namely with online retailer Amazon. As part of the capital markets day, Ørsted announced two further PPAs with oil firm ExxonMobil — one for a wind project and one for a solar project, both in Texas. Ørsted will sell the power from a 250MW portion of the 300MW Sage Draw wind project in Texas, due online in Q1 2020 to ExxonMobil.